The shortlist for the 2017 Laugh Out Loud Awards (Lollies) has been published and you can start voting for your favourite funny books now!! Before compiling the final shortlist Michael and judges Nicolette Jones (journalist and Sunday Times Children’s Book Editor) and Katie Thistleton (presenter and host of the CBBC Children’s Book Club) read over 130 funny books submitted by different children’s publishers. 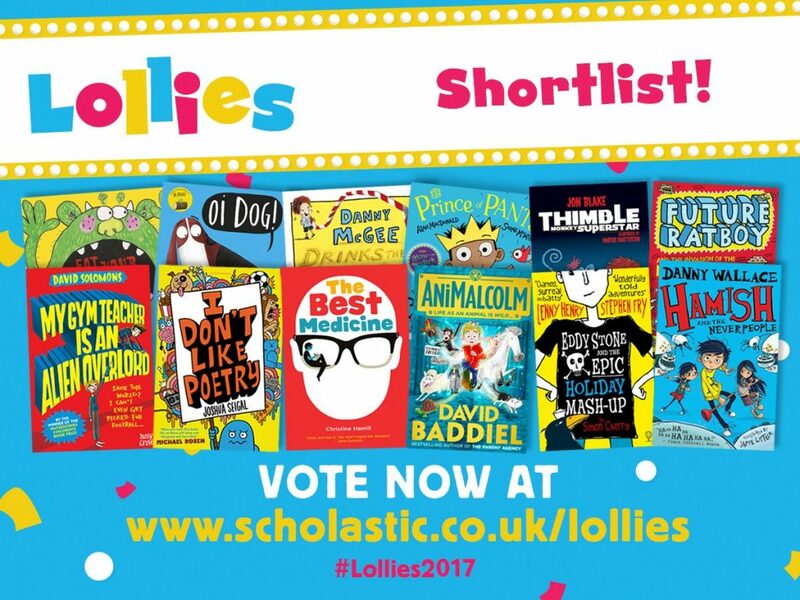 Voting for The Lollies will be open from Monday, 5th June till 8th December 2017 and the winning book in each award category will be decided solely by children’s votes. 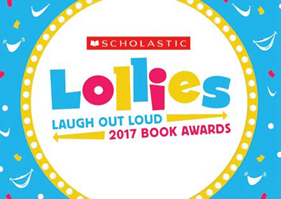 Parents, teachers please help your children to get involved and vote for their favourite funny books via the Lollies website or via the Scholastic channel on the PopJam app. You can keep up to date with the #Lollies17 news on Facebook, Twitter and Instagram. So start reading and voting now! Which of the shortlisted books have you already read? Which books make you laugh out loud?! Look forward to checking these fun books out… Thanks for sharing. Oi Frog! and Oi Dog! are very funny! What a great idea to get kids interested in reading. I have only read one of these books and I must admit I thought it was one of the worst books I’d ever read 🙁 But I’m not 8, so I guess that’s not a problem! That’s interesting, I wonder which one you’ve read! It’s true that kids often have a completely different sense of humour to us, I’m not a huge fan of poo books although most kids I know think that they’re hilariously funny! Hi Catherine, this sounds like serious stuff! How fun that only children can vote! There are some seriously funny sounding books there and some serious reading to be had if children are going to vote fairly! A brilliant idea to get authors the credit they deserve by the people who enjoy their books. It’s the only one that we have read on the list so far!